In today’s highly competitive and difficult job market, a single job posting may receive hundreds of applications. Applicant tracking systems (ATS) have become widely used in recent years because reviewing such a large number of resumés is unrealistic for most hiring managers. With around 200+ versions of ATS software worldwide, you’re bound to come up against it somewhere. In fact, if you’re actively seeking new job opportunities, you should have a good understanding of applicant tracking systems (ATS). If not, read more here. Did you know that many hiring managers, recruiters and decision-makers use applicant tracking systems to help identify the strongest resumés? It’s true! 1. 98% of Fortune 500 companies use applicant tracking systems (ATS) to sort, filter, and rank job applicants? 2. 87% of recruiters use LinkedIn to source and vet candidates? 3. Highly qualified candidates slip through the cracks of these automated processes? Employers are using cutting-edge technologies and AI to filter resumes. But what tools do you have? I’d like to introduce you to Jobscan. Jobscan’s machine learning algorithms help job seekers land interviews faster. 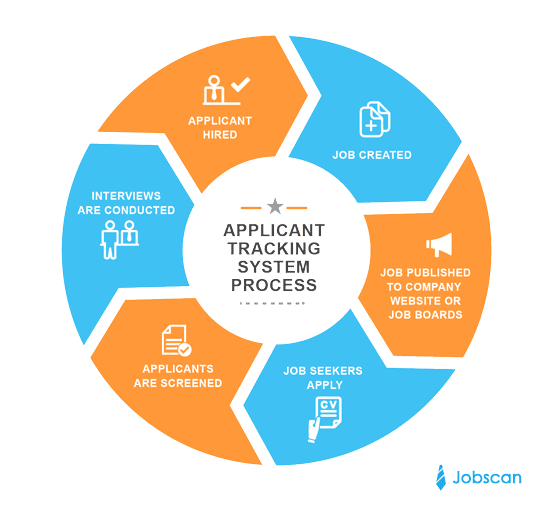 Based on the same search and ranking algorithms used by top ATS and LinkedIn Search, as well as recruiter surveys, Jobscan can help you reach the top of the recruiter search results. Jobscan is very easy to use. Just copy and paste your resume (or upload a copy) and job description into the designated fields and hit the scan button. In a matter of seconds, you can see how well you match the job, and receive actionable steps to improve your match rate. Here are Total Resumes, we use Jobscan to develop client resumes and recommend the platform to our valued clients. Jon Shields, Content Manager for Jobscan, recommends building your resumé up to an 80% match before applying for a position. Shields says, that’s where they see the most success in landing interviews. The main considerations that go into the match rate are hard skills, education level (when applicable), job title, soft skills, and other keywords. Jon provided valuable resumé tips for those job seekers who are feeling overwhelmed and could use a boost. For the complete, extensive 52-point list, job seekers can visit the Jobscan website. Here, we have compiled a sampling of tips that may help land that interview. Jobscan knows that paying for a service isn’t possible for all job seekers. While they see it as an investment in your career and job search, Jobscan also offer a free plan for those who aren’t in a position to pay for premium features. Jobscan’s free offering allows those in the job market to get five-match rate calculations and five keyword comparisons per month. They will also have access to a scan history limited to 20 past scans. Those on the free plan do have opportunities to access more than five scans per month if they participate in various marketing offers available on the site. Jobscan also offers a number of free resources on its website that are available to anyone. Its vast learning centre and detailed resumé writing guide likely have valuable information to offer just about anybody in the job market.